If you like what you see, please apply for Freedom of the Worshipful Company of Educators by downloading the Membership application form 2019-20. Not that it helps to save this document to your device before editing and helpful to the company if you save the new document as your name. Once received we ask applicants to attend an informal meeting to ensure you understand what it means to join a Livery and to give you a chance to meet some of our members. Please send the application form by email to the Clerk@co-educators.com or by post to the Clerk at the Company address given on the Contact page. There is a one off Administration fee of £100 to join and our annual subscription, called Quarterage, is currently £320. We ask all members in the Autumn to support our charity The Educators Trust Fund but leave the amount donated down to the individual. Freemen can attend all the statutory meetings, including formal dinners, disussion evenings and seminars as well as social events that are organised throughout the year. At these events you will have the chance to meet other members and their guests from a diverse range of backgrounds. These events are also held in interesting places such as ancient and modern Livery Halls, the Guildhall and occasionally Mansion House. 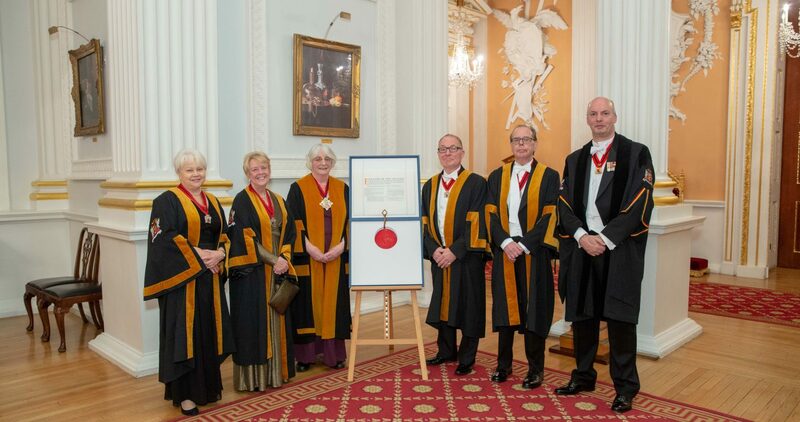 Freemen may also obtain Freedom of the City of London by being presented as a Freeman of the Educators. Indeed they must do so before transferring to Livery. New members may apply for the Freedom of the City by presenting their Freedom certificate as part of their application to the Clerk of the Chamberlain’s Court, Guildhall, London, EC2P 2EJ (020 7332 3055). Click here for more information. Members of the Company may wish to join one of the Ward Clubs in the City of London. Please see the Livery Tradition page for further information.on clubs related to the company by vicinity or history. Members of the Company are also entitled to join the City Livery Club which provides the livery with its own London Club with reciprocal arrangements with a number of other clubs – and the City Livery Yacht Club where an application form may be downloaded from the website. The Guild of Freemen of the City of London is a large association of individuals with a special interest in the City. Membership is open to all Freemen of the City of London, regardless of nationality, gender or religion, and our membership is drawn from all over the world, bound by a common interest in the City of London and the welfare and education of its citizens. This guild was founded in 1976 by the City of London Corporation under the Lord Mayoralty of Sir Robin Gillett Bt to encourage the wider participation of Freemen under the age of 40 in the affairs and traditions of the Livery.